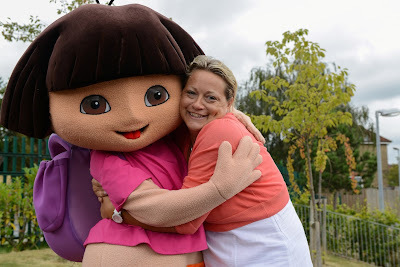 Five nurseries selected from submissions from across The UK have been chosen as the finalists for Nick Jr.’s Help Dora Help Campaign. The initiative is supported by The Prince’s Foundation for Children & the Arts and is designed to support nurseries, preschools and children’s centres in their educational curriculum. Almost 300 nurseries and preschools submitted an entry to this year’s campaign with applicants from Cumbria, Derbyshire, London and Lancashire elected as finalists. The winner will be decided by members of the public that vote at nickjr.co.uk/helpdorahelp. Voting is now open to decide which of the finalist will receive the award. Voting is open to anyone within the UK and voters can take a look at all five finalists and learn more about their submission at nickjr.co.uk/helpdorahelp. Voting is open until 2nd November with the winner of the award announced on 19th November. Greystoke Under 5’s, Greystoke, Cumbria - The rural volunteer playgroup would use the award to revamp their outdoor play area as well as their kitchen. Oakmount Day Nursery, Preston, Lancashire - The nursery would use the award to purchase a minibus, ideally equipped with exploratory items such as a metal detector and telescope. The Old Forge Day Nursery, Findern, Derbyshire – The nursery would use the award to build a log cabin with sensory room, a library and dance studio. Parkfield Children’s Centre, West Hendon, London – The Children’s Centre would develop their Early Years playground to reflect various countries, cultures, seasons and festivals. Walton Lane Nursery School & Children’s Centre, Nelson, Lancashire - The Centre would create a bug hotel so that children could increase their knowledge of mini beasts. An expert panel led by Nick Jr.’s Wake Up World Helena Dowling, alongside Nick Jr. representatives and partners including The Prince’s Foundation for Children & the Arts, Dora Magazine and Chad Valley chose the five finalists with each finalist awarded discovery and learning equipment from Chad Valley as well as a classroom visit from Dora the Explorer. Nick Jr., with its sister channel Nick Jr. 2, it is the most popular commercial pre-school entertainment brand in cable and satellite homes. 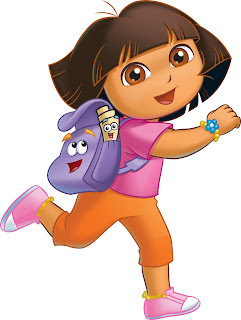 Launched in 1999 as the world's first channel dedicated to preschool children, Nick Jr. broadcasts hit shows including Dora the Explorer, Peppa Pig, Ben and Holly’s Little Kingdom, Bubble Guppies and Olive the Ostrich. In 2009 Nick Jr. won BAFTA Children’s Channel of the Year. More information on programming as well as clips, games and exclusive downloadable content is available at nickjr.co.uk. Nick Jr. is available on Sky 615, Virgin 715, through BT Vision and TalkTalk channel 318. Launched in 1993, Nickelodeon UK comprises seven dedicated award-winning entertainment channels for kids aged 2-12 and is a joint venture between MTV and BSkyB Networks. The Nickelodeon Network is a top performing commercial kids TV network in the UK and the Nickelodeon channels are available in over 14 million cable and satellite homes. The Prince’s Foundation for Children & the Arts is an educational charity which champions the power of the arts to transform and enrich the lives of disadvantaged children across the UK. The charity’s projects have helped to create long-term partnerships between arts organisations and their local schools. Two core programmes, Start and Quests both highlight the potential of learning outside the classroom, enabling children to visit their local cultural venue to work with professional artists, and then developing this experience through class-based projects and activities. Since 2006 the charity has worked with over 100,000 children and hopes to substantially increase this figure in the next few years. soon. Please visit my web site too and tell me what you think. Great post. I was checking continuously this blog and I'm impressed! Very useful info specially the last part :) I care for such info much. I was seeking this certain info for a long time. Thank you and good luck. I blog frequently and I truly thank you for your content. The article has truly peaked my interest. I'm going to take a note of your blog and keep checking for new information about once a week. I opted in for your RSS feed as well. email. I've got some ideas for your blog you might be interested in hearing. Either way, great site and I look forward to seeing it improve over time.